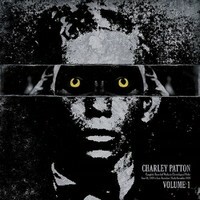 Charley Patton (1891-1934), also known as Charlie Patton, was an American Delta blues musician. He is considered by many to be the "Father of the Delta Blues", and is credited with creating an enduring body of American music and personally inspiring just about every Delta blues man (Palmer, 1995). Musicologist Robert Palmer considers him among the most important musicians that America produced in the twentieth century. He was both black, white and Indian descent. His most famous song is "Pony Blues".